Sometimes what you think you’re communicating and what you’re actually getting across are two different things. It’s your story. How well are you telling it? Honestly, would you pay attention if you didn’t have to? Effective communications starts with planning. I can help you develop and execute a creative, multi-faceted communications strategy to increase your influence and effectiveness. I typically work with organizations that have legislative policy goals in Vermont. Over the course of my career, I’ve worked with some of the best lobbyists in the state. I’ve learned that regardless of how legislation is moving in the statehouse, a strategic communications plan is critical to the success of any larger effort or coalition campaign. Understand your audiences (there are multiple). Develop long- and short-term plans to communicate with them. Figure how you’re going to measure your progress along the way. Determine the appropriate communications tactics and resources you have available to disseminate news, promote advocacy efforts and get the word out about your events, broaden your network, and make your overall mission accessible and relevant to the public. Create a timeline and an editorial calendar for outreach work in all communications channels. Be Kind To The Skimmer – Know When To Edit! In order to tell a good story, one must first be a good listener. I can work collaboratively with your team to help you identify and enhance your narrative trajectory, strengthen your visual marketing efforts, provide earned media counsel and comprehensive paid media services, and more. As data analyst with visual arts skill, I work with client data sets to wrangle truth, direction and trends out of them. The next step is to make the numbers visually understandable to the general public, and to make them interactive. Data visualizations make this possible, communicating important facts and adding key elements to a larger online narrative. They are accessible and interactive and can offer more information than a static Excel chart. Digital graphs and visual representations of data can communicate big ideas very effectively. Are you sitting on data sets that are worth exploring and adding to your story? Below are some examples of my work. 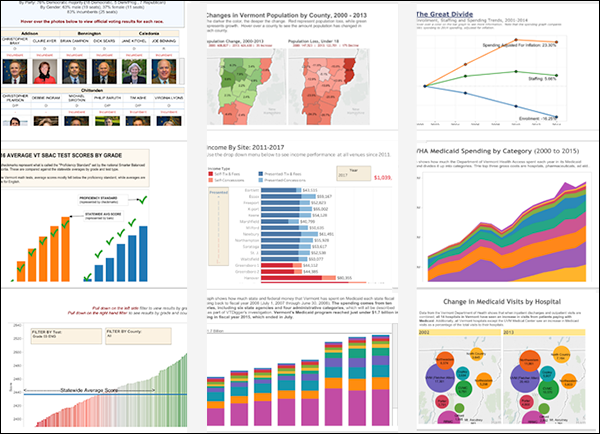 You can view my featured data visualizations here.